Marquee Resources Limited (ASX:MQR) today announced that it has added to its Canadian in-country geological team with the appointment of the highly experienced Mr Toby Hughes. Hughes will lead the exploration program at the Werner Lake Cobalt project in Ontario, in which MQR has an option to acquire an interest to earn up to 70%. The company is embarking upon an aggressive exploration program at Werner Lake, which abuts First Cobalt Corporation’s (ASX:FCC) cobalt assets. 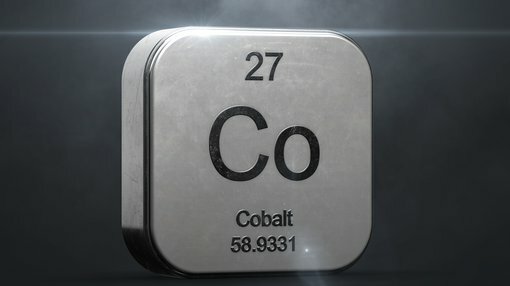 It is aiming to significantly increase the existing Indicated Resource of 79,400 tonnes at 0.43% cobalt which remains open in all directions. Hughes is a registered professional geologist with a career spanning over 35 years. His experience covers grass roots to advanced stage exploration, throughout numerous countries across the globe, including significant experience in Canada. He has held senior positions as Chief Geologist, Exploration Manager and Vice President, Exploration, and has expertise in precious and base metals systems and with the gold, silver, cobalt, copper, zinc, nickel, and PGE. Hughes’ cumulative cobalt experience includes several years as project manager at the Werner Lake project, plus exploration within the Ontario Cobalt mining camp, and evaluations across the Ontario and Québec Abitibi, and British Columbia. MQR Managing Director, Mr. Charles Thomas, commented “We are pleased to welcome Mr Hughes to the Marquee team. Mr Hughes has previously been heavily involved in the Werner Lake project, so for Marquee to attract someone of the calibre of Toby to the team with local on ground knowledge of the project, is a significant coup. Of course, as with all minerals exploration, success is not guaranteed. Consider your own personal circumstances before investing, and seek professional financial advice. Hughes’ appointment comes as MQR continues to bolster its geological team ahead of its Werner Lake exploration program and the ongoing progression of the project and the company overall. The company has also shortlisted a number of high calibre drilling contractors and is anticipating an appointment in the near future.